UPDATED: Fri., April 20, 2018, 8:01 p.m.
SAN ANTONIO – The driver of a big rig involved in the deaths of 10 smuggled immigrants in Texas last year was sentenced Friday to life in prison. 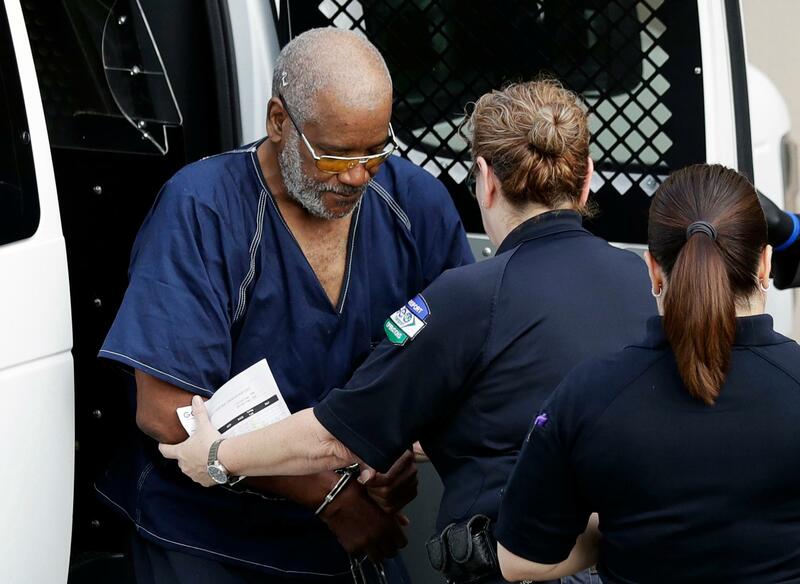 James Matthew Bradley Jr. pleaded guilty in October to a count of transporting the immigrants resulting in death and a conspiracy count. If he had gone to trial and been convicted, he could have faced the death penalty. The life term Bradley received from senior U.S. District Judge David A. Ezra doesn’t include the possibility of parole. At least 39 immigrants, most from Mexico and Guatemala, were inside the sweltering trailer found by San Antonio police last July in a Walmart parking lot. Its refrigeration system wasn’t working and outside temperatures that day reached 101 degrees (more than 38 degrees Celsius). Eight people died inside the trailer and two others died after being hospitalized. Bradley, 61, was identified by prosecutors as hailing from Louisville, Kentucky, but he also had lived in Florida. Ezra called Bradley’s actions “extreme by any measure,” according to the newspaper. Bradley initially denied knowing anyone was inside the trailer, telling investigators he was transporting it for his boss from Iowa to Brownsville, which is on Texas’ border with Mexico. But he raised suspicions by saying he had driven to another border city, Laredo, Texas, and stopped twice there before driving back to San Antonio, in the opposite direction from Brownsville. Those who survived the ordeal described hellish conditions, saying they were reduced to crying and pleading for water due to the stifling heat. They eventually had to take turns breathing through a single hole in the side of the trailer. The U.S. Department of Homeland Security this week announced the “Operation Big Rig Campaign,” which aims to discourage immigrant smuggling by distributing informational materials at 15 truck stops and other locales in South Texas. Published: April 20, 2018, 12:14 p.m. Updated: April 20, 2018, 8:01 p.m.